A room can get an instant refresh with new window coverings. Today's options can bring some much needed texture, colour, and character to your room so quickly. Don't forget that window coverings really are the finishing factor to a room. Plus, the many benefits of energy savings, protection for your furniture from the sun, and achieving privacy while still letting the light shine in. The hardest part will be choosing what works best. You could choose shades, blinds, curtains or shutters. But first, here's some thoughts to consider. What is the Room’s Purpose? One of the first things to consider is the room's purpose. If you’re installing window coverings in a media room, it’s important to shut out all the light. If you’re installing them in a baby’s room, then you’ll want the option of being able to let some light in the room at times, while shutting it all out when the baby is sleeping. In a great room, you’ll want to privacy while still keeping the room light and airy. Key Tip: If installing window treatments in hard to reach places, be sure to include a simple way to raise and lower the covering. 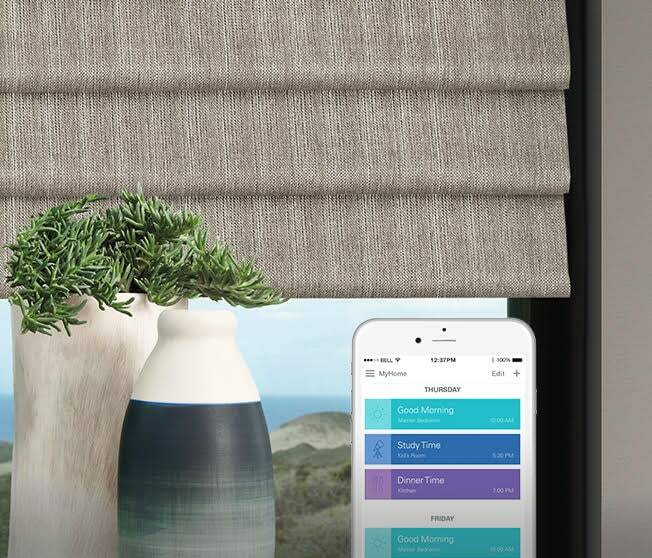 Our Hunter Douglas shades have motorized options where you can use a remote control device or phone from in-house or away which can be a perfect solution. Depending on the size, location and purpose of the window, this will be factor when considering the type of window covering. If you need privacy in a room but want some light as well, consider using Hunter Douglas Silhouette® Window Shadings with specially crafted fabrics that transforms harsh sunlight into beautiful ambient light. With no cords or tapes, the sheer facings allow you to view through the vanes to the outside, while maintaining a discreet level of privacy. 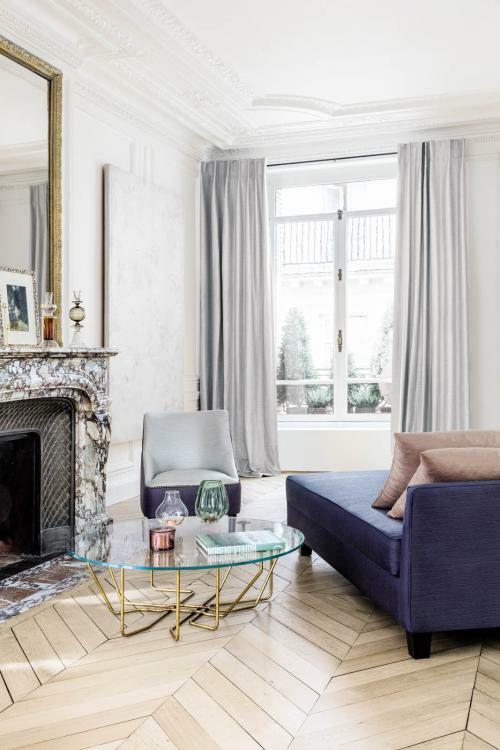 If drapery is what your room needs, fabric is an essential part of choosing, since the material will determine how well your drapes function and hold up over time. If they're too heavy, they may not fold nicely when drawn; too light and they won't hang well. When it comes to material, linen, silk, and velvet are the best choices to use for window treatments since they tend to hang the best. We have a wide selection of choices here at Red Door for our customers to consider. Neutrals, prints, and vivid colours in a wide variety of textures and weights. 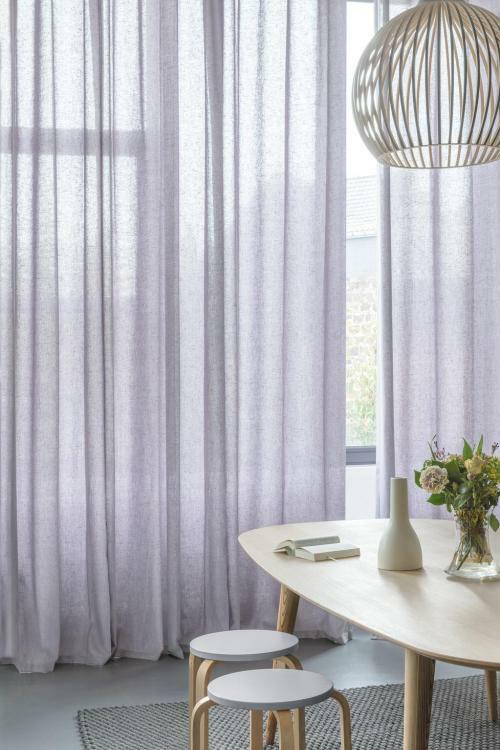 Tip: If you have shades or a roller blind already, you may to consider fabric for side panels to finish off the window treatment. Our designers are here ready to help you narrow down the considerations and decide what will work best in your home.